There is no single agreed definition of the rule of law. However there is a core definition that has near universal acceptance. At its most basic level the rule of law is the concept that both the government and citizens know the law and obey it. However the rule of law is also much larger than this. 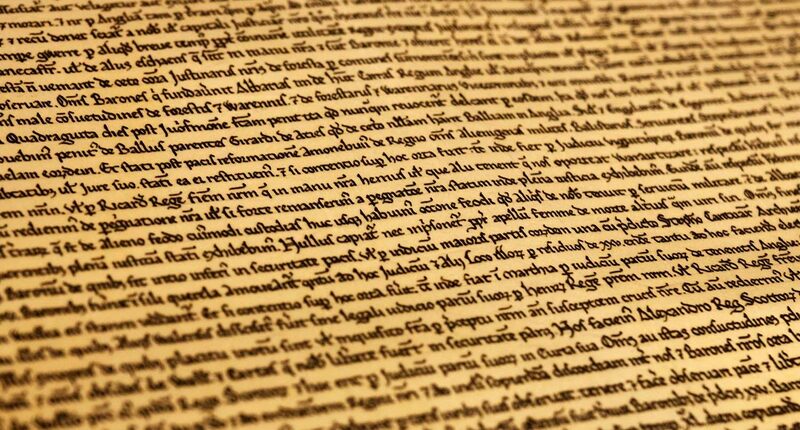 The relevance of the rule of law, and an understanding of its concepts, has it’s origins in the Magna Carta. 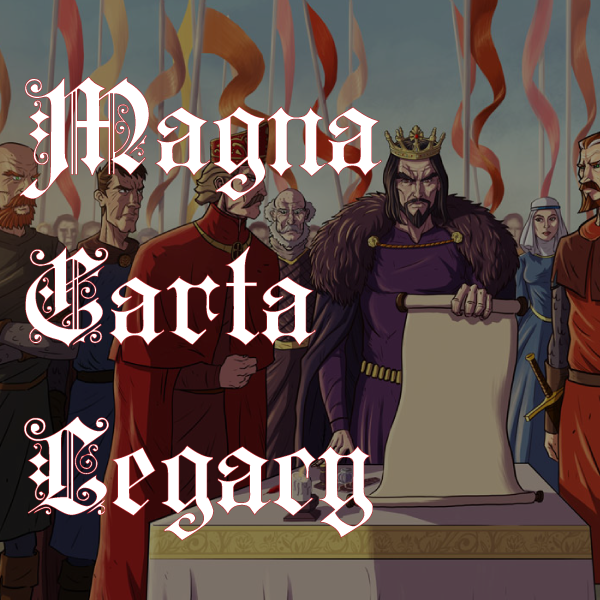 Why is the Rule of Law Important for Society? As a result it can be said that the rule of law is more than simply the government and citizens knowing and obeying the law. 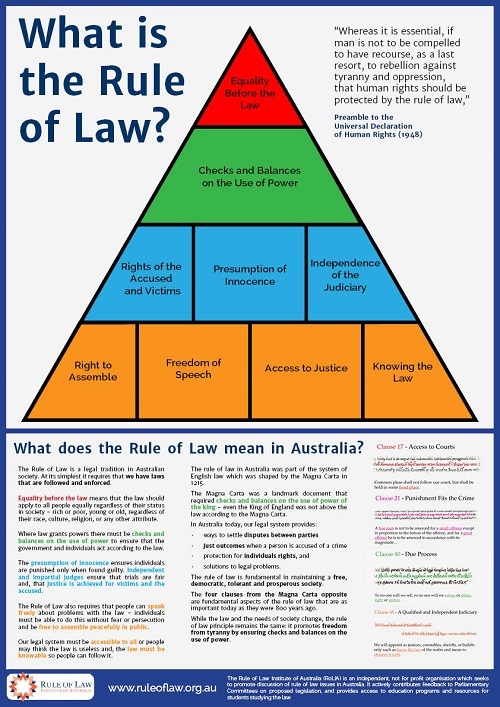 The rule of law involves other concepts, such as checks and balances on the use of government power, the independence of the judiciary, the presumption of innocence, access to justice, and the right to a fair trial. 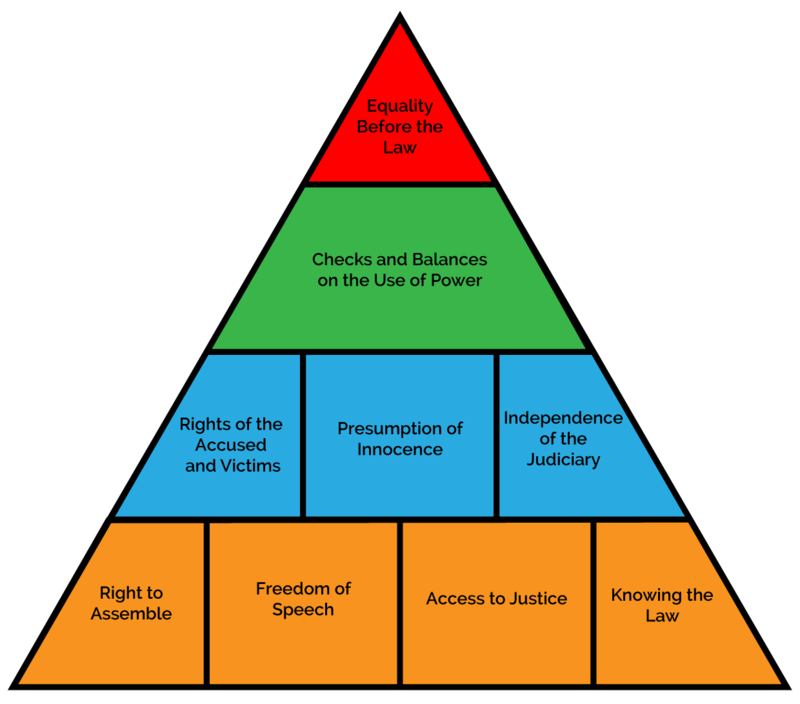 The Institute’s education team use the pyramid as a discussion starter about what kind of processes and principles are required to provide for equality before the law in Australia. 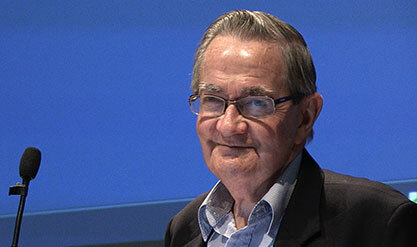 This video introduces the concept of the rule of law and provides some examples of ways in which the concept supports fairness and certainty in the legal system.